In this way the row will have two more stitches than the previous row. or when you need to make a more pronounced widening. 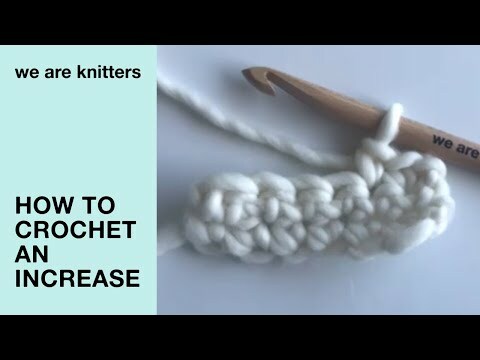 Work a double crochet into the stitch indicated in the pattern as shown in the video “How to double crochet”. Work another double crochet by inserting the hook into the same stitch that you worked the previous double crochet. Work a third double crochet into the same stitch. As you can see, there are now three stitches in one stitch. Once you have worked the double increase continue working as indicated in the pattern.